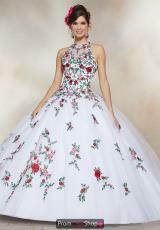 Vibrant and charismatic Valentina ball gown 34006 is fashion perfection. 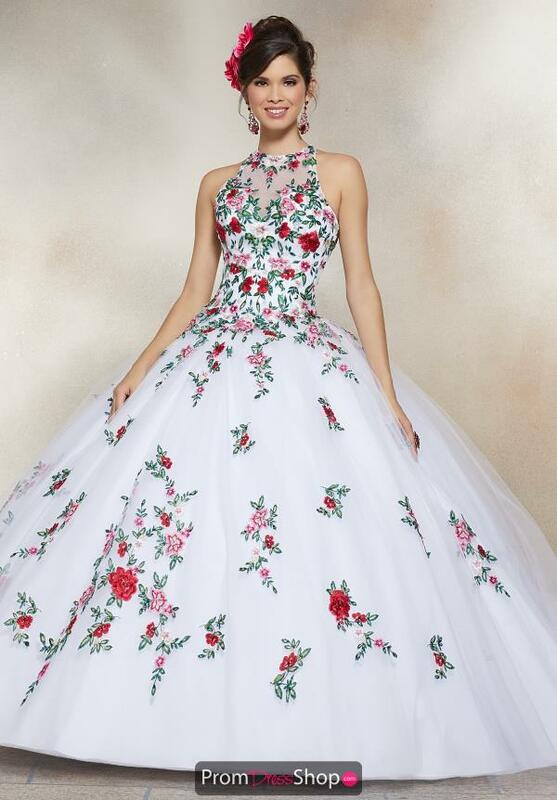 This dress featured an embroidered high halter neckline and a dramatic tulle ball gown skirt that is accented with floral accents. 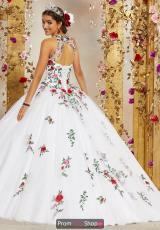 The back of this dress creates a stunning open back with a lace up closure and fabulous train. This dress features a matching bolero jacket.